Kurdish militant group PKK has declared it will halt attacks in Turkey ahead of the election next month. The announcement came hours after twin blasts killed dozens people at a rally of pro-Kurdish and leftist activists in Ankara. The Kurdistan Workers Party (PKK) has been waging a guerrilla war against the Turkish government for decades. Three months ago they ended a two-year-long ceasefire as Ankara launched a bombing campaign targeting Kurdish forces in Iraq. Firat news agency, which is close to the militant movement, said on Saturday that the PKK is suspending its attacks in Turkey, and would not resume it unless Kurdish fighters are attacked first by government troops. The report said the decision came after calls from within and outside Turkey, which argued that the attacks would hurt the upcoming elections on November 1, Reuters said. 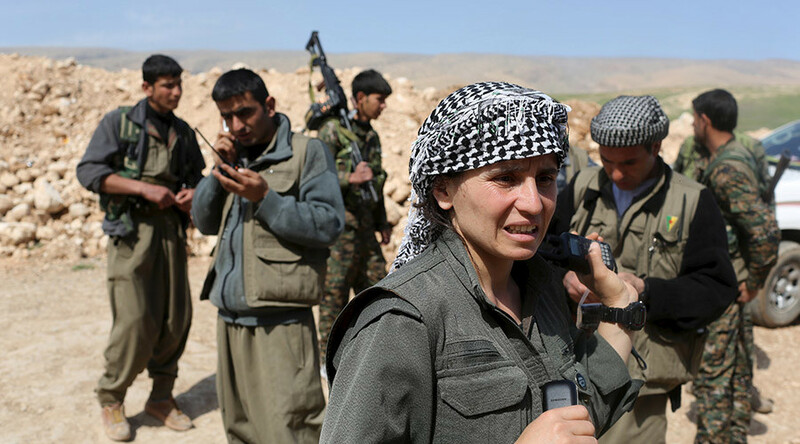 “Our movement has decided to put our guerrilla forces in a stance of non-activity for as long as there are no attacks on our people or guerrilla forces," the PKK statement said. The announcement came hours after two blasts decimated a political rally of pro-Kurdish and leftist activists near Ankara’s busiest train station. The two bombs went off with a short interval and killed at least 86 people. Some 186 were injured in what the government said was a terrorist attack. The opposition rally was aimed at protesting government policies, including the anti-Kurdish military campaign. The ceasefire did not come as a complete surprise, since the PKK has been hinting that it could be possible for some time. The three decades of violence between PKK and Ankara has claimed an estimated 40,000 lives. The latest three months of attacks have left hundreds killed.